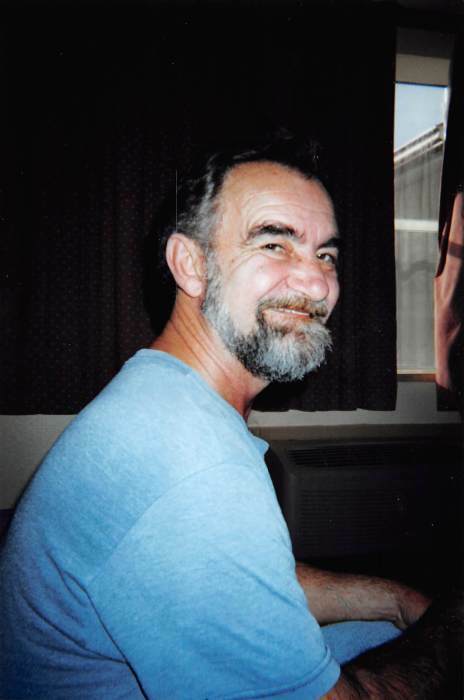 James Mitchell “Jimmy” Hilterbrand, 62, of Wallingford, passed away Monday, November 19, 2018, at Fleming County Hospital. Born in Flemingsburg on June 7, 1956, he was the son of Edna R. Buckley Hilterbrand and the late Elmer Hilterbrand. Jimmy is survived by his mother Edna; his children, Scott Hilterbrand and wife Betty, Mischelle Planck and husband Darrell, Jamey Hilterbrand, Jeremy Hilterbrand and wife Angela, David Gulley and wife Anna, Curtis Gulley, Dessie Trent, and Amanda Gulley. He is also survived by his grandchildren, Tyler Carpenter, Sierra Carpenter, Chris Gulley, Lexus Gulley, Kierra Trent, Hannah Gulley, Braxton Planck, Hailey Gulley, Alyssa Hilterbrand and Dakota Hilterbrand; and his sister, Beverly Gossett. Jimmy was preceded in death by his father Elmer; his wives, Sandra Montgomery Hilterbrand and Teresa Owens Hilterbrand; his brother, Phillip Paul Hilterbrand, and his brother-in-law, Lon Gossett. Services will be 1 p.m., Friday, November 23, at Boone-Nickell Funeral Home with Bro. Doug Reeves officiating. Jimmy will be laid to rest in Big Run Cemetery. Pallbearers include Chris Muse, Curtis Gulley, David Gulley, Mickey Holcomb, Tyler Carpenter, C.J. Vise, Dustin Hilterbrand, Darrell Planck, and Cody Hilterbrand. Visitation will be 11 a.m. to 1 p.m., Friday, at the funeral home. In lieu of flowers, donations to offset expenses can be made to Boone-Nickell Funeral Home.